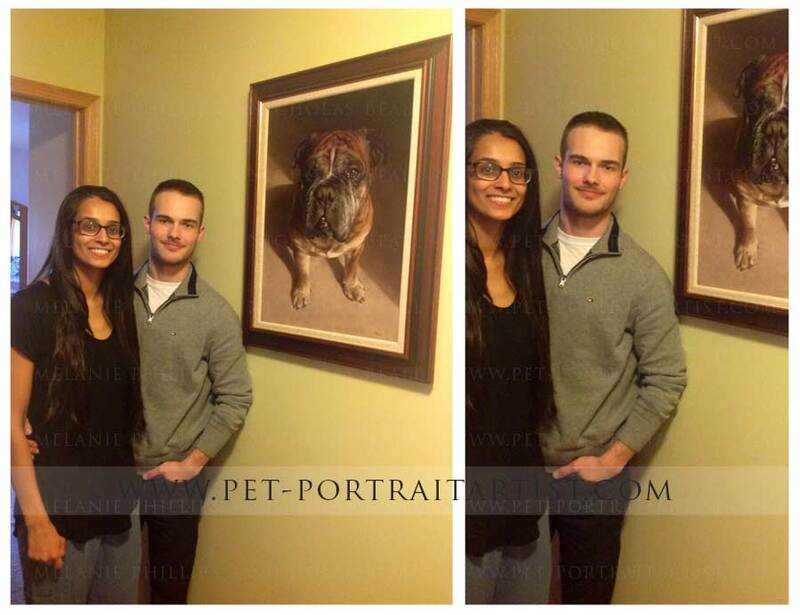 Kristian from Canada contact us in 2014 to paint Boomer as a surprise for his girlfreind Deepy. 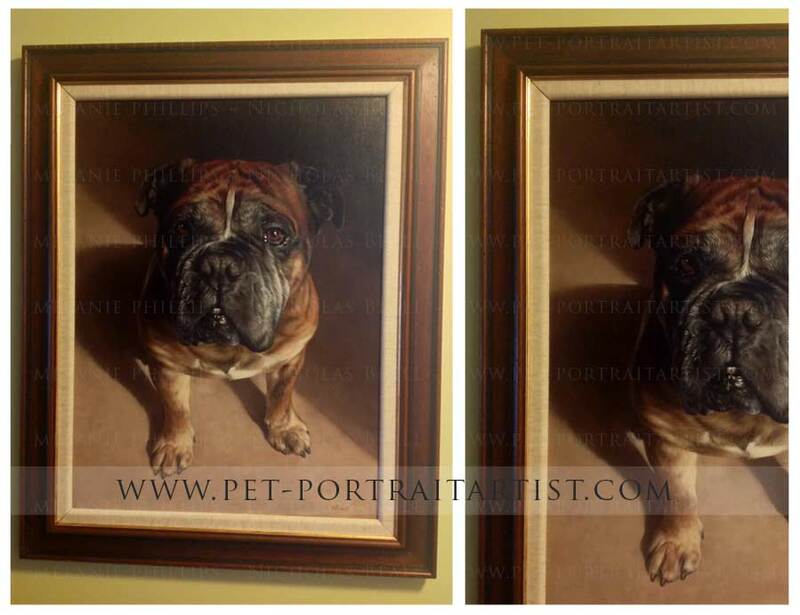 The portrait of Boomer is a 24 x 18 oil painting. Kristian and Deepy very kindly sent us a photo of themselves standing next to Boomers painting in situ and I have also included their wonderful email below. We cant thank them enough for letting us display the photo on our website. Hello, I received the picture of Boomer a few weeks ago from my boyfriend, Kristian. It is by far the most beautiful picture I have seen! It is so accurate to how my dog looked like and looks so real that it makes me emotional every time I glance at it. What an amazing gift that I will cherish for the rest of my life; I really don't think it will ever be topped. Thank you for helping us honour Boomer's life, he will always be missed and never forgotten.